Valentine’s Day is just a month away and I created my first decoration for the holiday of love. 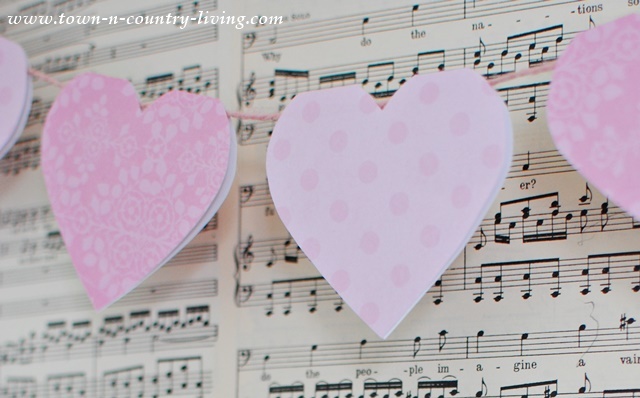 It’s a very simple paper heart banner that you can make in less than an hour. 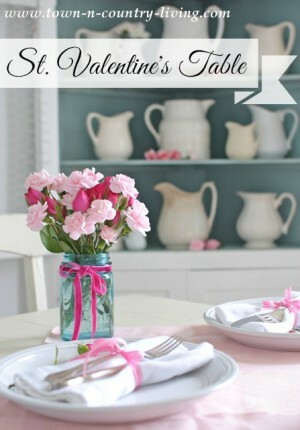 I’m using it in a Valentine’s Day vignette that I’m sharing in a blog hop this Saturday. 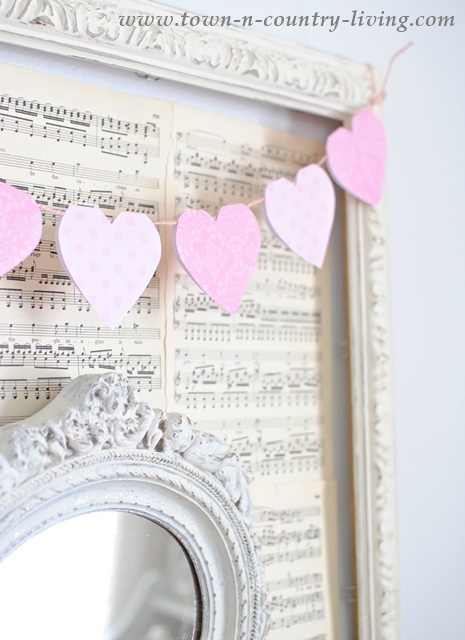 You don’t need a lot of supplies to make this paper heart banner. Decorative scrapbook paper, a piece of colored twine, scissors, pencil, and glue. 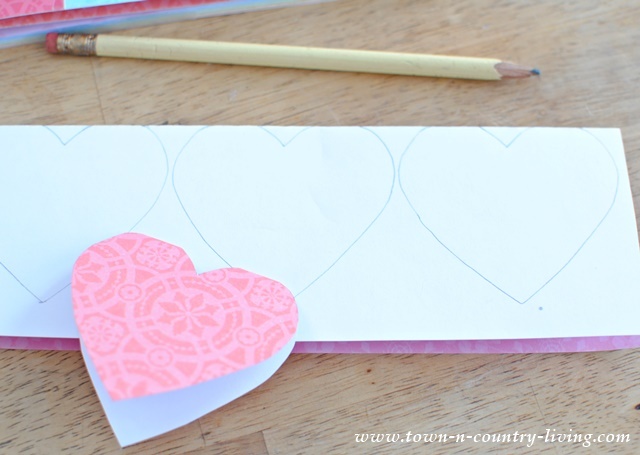 Cut out a heart to trace; I’ve included a free hearts printable for you to download at the end of this post. Fold a piece of scrapbook paper in half, with the printed sides facing each other. Line the top of the heart at the top of the fold and trace. After tracing your hearts, cut them out being careful not to cut the top edge. 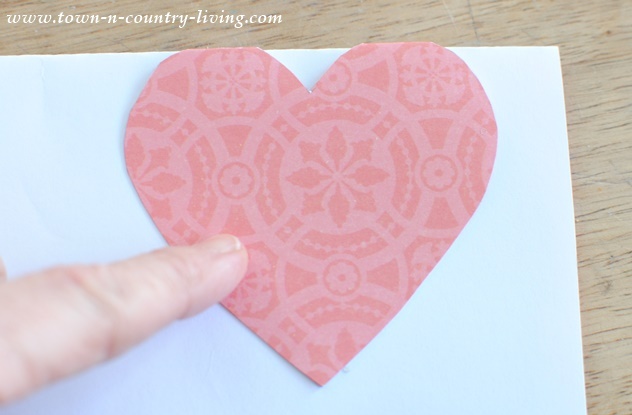 Unfold the hearts and fold them over so the printed side is facing out. 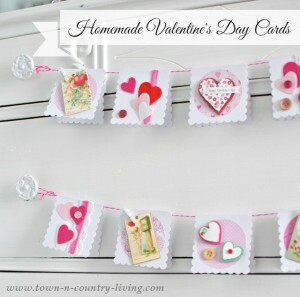 Hang the folded paper heart over a piece of colored twine and glue the bottom points of the heart together so it stays closed. 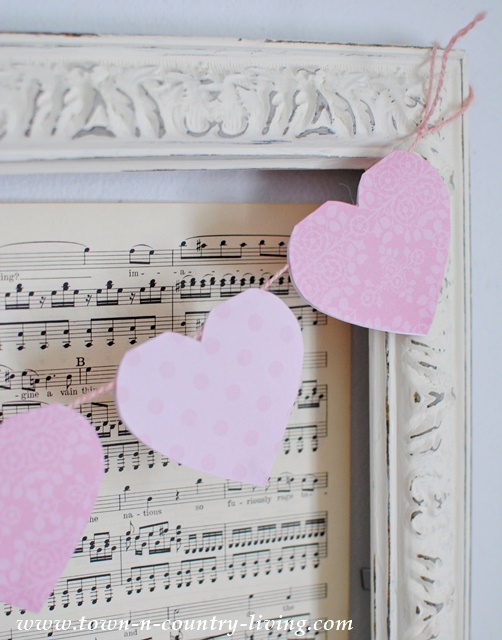 You’ll be able to move the hearts on the twine which makes it easy to space them out after hanging. 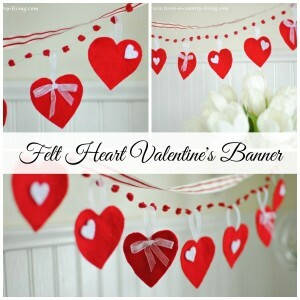 Tie a loop on each end and hang your paper heart banner. 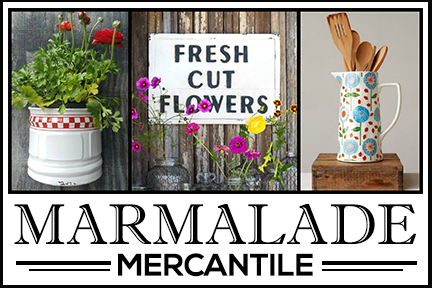 This is all I can show you for today since I’m sharing the rest of the vignette on Saturday. 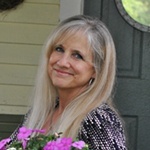 I’m joining other bloggers in the Valentine hop so you’ll find plenty of inspiration for the holiday of love! 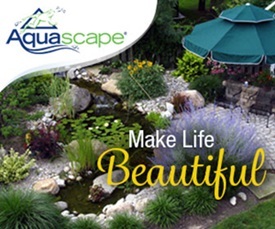 I’ve seen some of the projects already and can tell you that you won’t be disappointed! 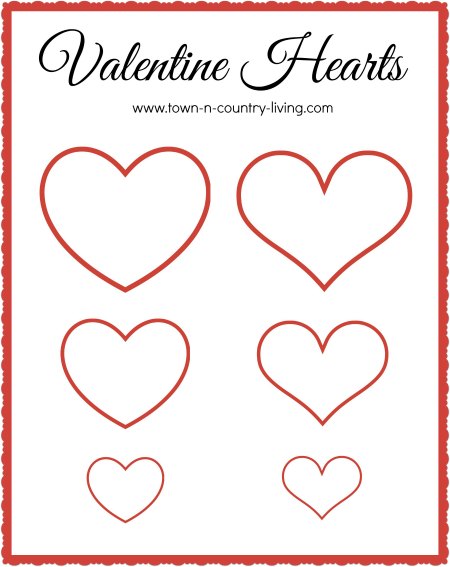 Download the free Valentine’s Day printable with 6 heart templates. 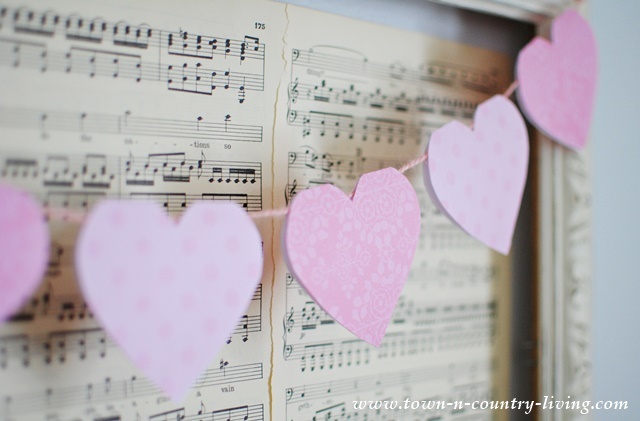 hi jennifer,i love the heart garland:) thank you for sharing this simple little project it will help us not get the wintertime blues! 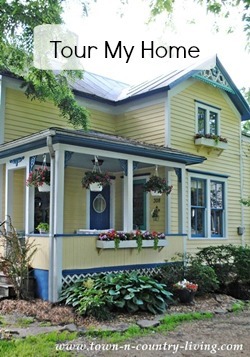 I just purchased a new home…it is cute and little so much easier for me to take care of…it has great potential with soft buttery walls and pine floors,i really want some ‘farmhouse’ charm where do i start? Thank you for the printable, Jennifer. I love your heart garland. Looks easy and cute!